There’s no getting around the fact that real food is expensive. Depending on what kind of food you were buying before, switching to real food may mean a significant increase in your grocery budget. There are, however, a few ways to save money on real food without sacrificing your standards on food quality. Here are my 10 favorite tips. 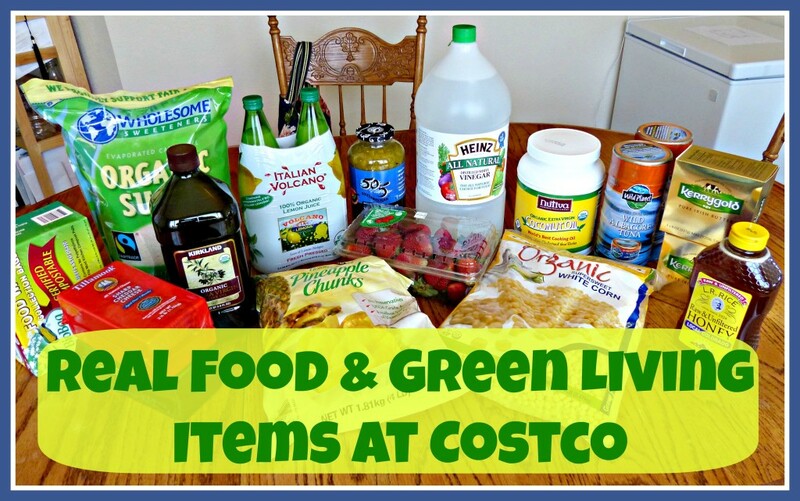 I’ve written before about the real food and green living items that I buy at Costco. If there’s a Costco near you, it’s worth paying them a visit to see what types of real food items they carry. (Not all Costcos stock the same products, so you may not find everything that’s available at my local Costco.) My particular Costco carries a large selection of high-quality foods, including some things that I save a ton of money on, like grass-fed butter, pastured eggs, organic frozen berries, etc. 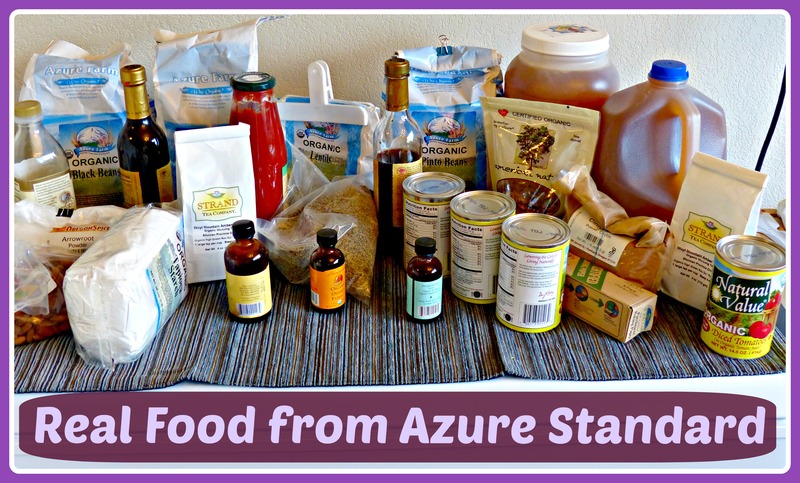 Azure Standard is another excellent resource for high-quality organic and natural foods. You become a member for free, place your order online, and then go meet the truck at your local drop-point every month. I’ve written more about how Azure works and what I like to buy from them here. If you have a local drop-point near your home, it’s definitely worth checking out their inventory to see if it appeals to you. Go read the post above for more info, but in general I find that Azure has the lowest prices I can find on certain bulk items, like dried beans, sprouted rice, flours, nuts, and raw grass-fed cheese. Amazon has a lot of great deals on high-quality food items. I routinely buy items like cocoa powder, cocoa butter, gluten-free pasta, and shredded coconut. Many food items are also available for Amazon’s subscribe & save program, which allows you to sign up for products to be delivered at a certain interval in exchange for an extra discount. I’ve gotten my subscribe & save strategy to the point where I now always have enough items to get 15% off, which adds up to a lot of savings over time. Once you have a solid list of places to buy real food, it’s worth taking the time to compare each resource’s price on particular items. Between Amazon and Azure Standard, for instance, it’s really hard to predict who’s going to have a better price on something. Do your research and keep notes so you’ll know the best place to buy each particular food on your list. Also don’t overlook your local health food store, or wherever you tend to do your local grocery shopping, as a potential place for good deals. In general I find that places like Azure, Amazon and Costco are less expensive for nearly everything that isn’t fresh produce, but if your store is running a great sale you may well find a better price locally. Buying in bulk will almost always save you money. (Part of the reason that you can find such good prices on foods at Costco and Amazon is that you usually have to buy in bulk.) In order to buy things in bulk, though, you have to have room to store all of your purchases. If you have a garage or other large storage space, this may not be an issue for you, but those of us with smaller living arrangements may need to get creative. See my tips for food storage in small spaces. Extra freezer space is part of making room for bulk purchases, but I’m putting it in its own section because purchasing a second freezer is a bigger commitment–but in my opinion, completely worth it. Having a lot more freezer space can really expand your options when it comes to purchasing real food. Buying frozen organic berries from Costco, for instance, saves me a ton of money–but you often have to buy them in 5 pound bags, so you really need enough freezer space to be able to take advantage of these kinds of deals. Having a second freezer can also allow you to purchase grass-fed/pastured meat in bulk, which may save you quite a bit of money. If you think you don’t have room for a chest freezer in your home, I’d highly recommend that you take some time brainstorming creative locations for your freezer–even if they’re a bit weird. 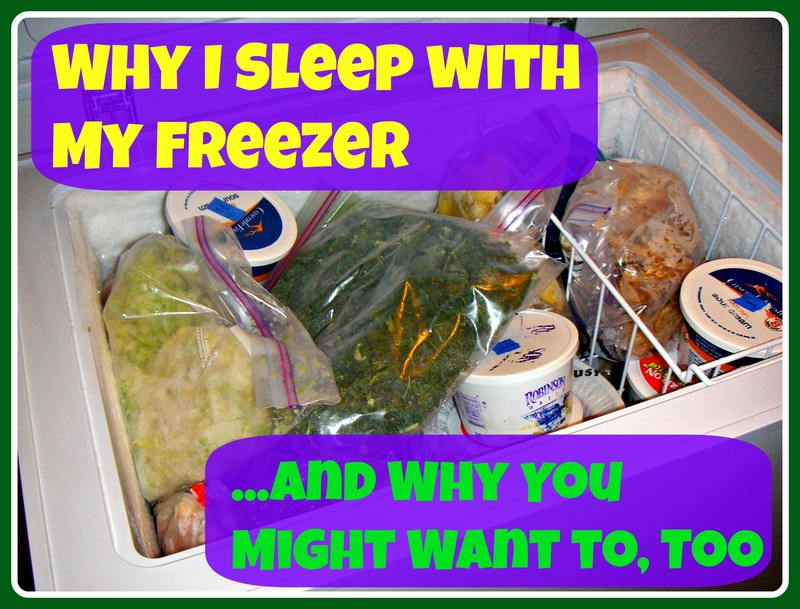 Read about how we used to store our chest freezer in our bedroom here. Making foods yourself can be a great way to save money on your grocery bill. Since most of us don’t have unlimited time to spend in the kitchen, however, it’s worth doing some math to figure out where your time is best spend in making homemade foods. Making your own meals is, of course, a no-brainer, but the same can’t be said for every other food you could make yourself. For instance, a couple years ago we canned tomatoes. When I did the math afterwards, I realized that my cost to can tomatoes on my own was more than twice the cost of buying organic tomatoes in glass jars. Paying more than twice as much in order to do all the labor myself absolutely does not make financial sense to me, so we have not canned tomatoes since. This is also why I don’t make my own butter—making butter would only save me a tiny amount of money while taking up a not-insignificant amount of time in prep and cleanup. Of course, there are those things that you should make yourself because you can’t buy a product that lives up to your quality standards. If, however, you can purchase something that you’re happy with, make sure that your time is being well-spent before choosing to tackle a homemade version. What will be worth it to make homemade will depend on food prices where you live. 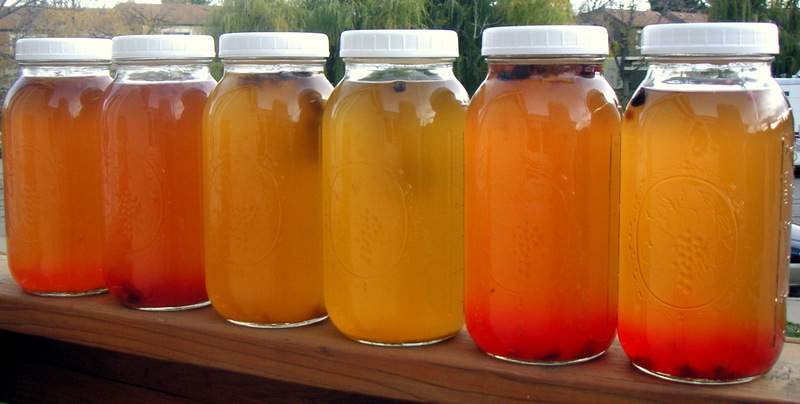 Personally, some of the things that I see big financial benefits in making myself are kefir, Instant Pot yogurt, water kefir, fermented vegetables, coconut butter, and kombucha. 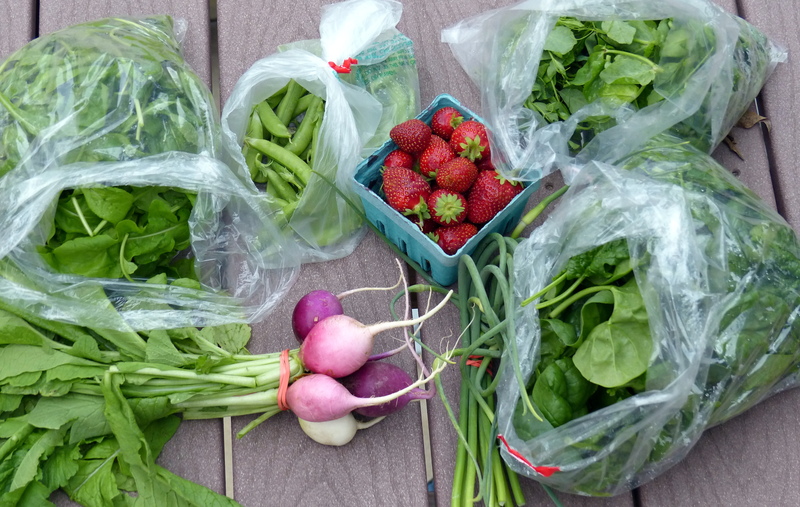 Growing your own food can be a great way to save money on real food. If you’re mostly gardening to save money, be sure to take some time to research what will give you the most financial benefit for your effort. I have not done a ton of research on this, but just based on my own personal observations I’d guess that some of the most financially rewarding produce to grow would be greens, tomatoes, herbs, green beans, zucchini, and peas. 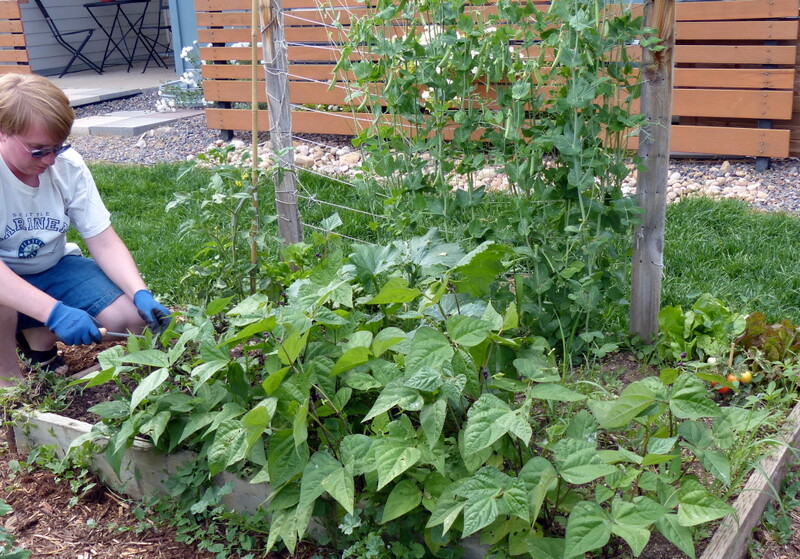 Even if you live in an apartment, you may still be able to save some money by gardening. When we lived in an apartment, we grew a container garden on our balcony, and were also able to utilize the community garden space available in our apartment complex. Do some research to see what’s available in your area. This part depends a lot on where you live. When I lived in Colorado, I never shopped at the farmers market because the prices were ridiculously high, much higher than what I was paying at my local health food store. Now that I live in California, I shop at the farmers market every week, because the food quality is top-notch and the prices are very competitive, either the same or less than what I’d pay at the grocery store. This is particularly true for high-quality meat; I buy my pastured/grass-fed meat directly from the farmers at the market, and I know I’m paying MUCH less than I’d be paying at someplace like Whole Foods. Meal planning can save you a lot of money. When you know exactly what you’re going to eat for the week, you only buy the foods that you actually need, so you end up throwing away far less food. And when you’re eating expensive, high-quality food, making use of everything you buy can mean significant financial savings. Meal planning also means that you won’t be running out for take-out when life gets busy or you can’t figure out what to have for dinner. When you’re armed with a meal plan in advance, it’s much easier to still eat real food even when life gets challenging. Meal planning can be easy once you get into a system that works for you–but if you feel too busy to meal plan, consider signing up for these real food meal plans. All the benefits of meal planning, with most of the work done for you! 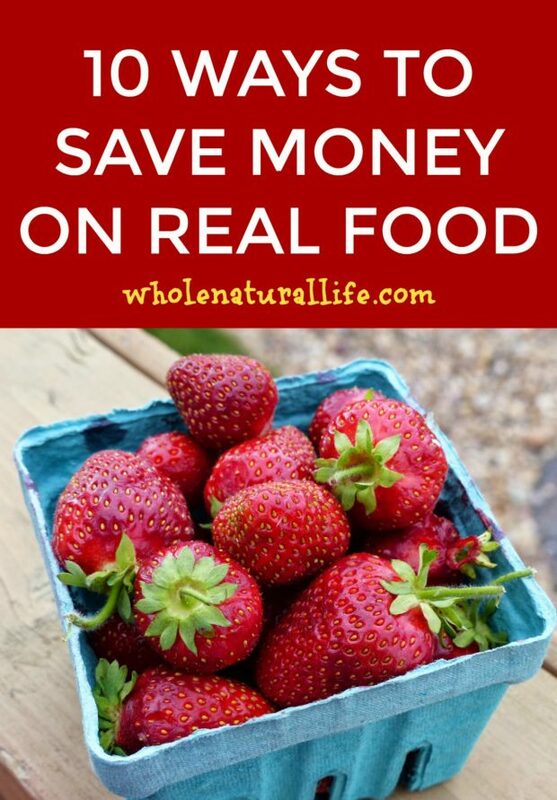 What are you favorite ways to save money on real food? This was an informative post, Meghan! I especially liked your inclusion of Costco at one of your real food resources, since there are many who wonder if there is any real food to be found at wholesale clubs. I shared the post with my FB readers!